Q: Why are drugs evaluated by the FDA? A: Drugs intended for human use are evaluated by FDA’s Center for Drug Evaluation and Research (CDER) to ensure that drugs marketed in the United States are safe and effective. 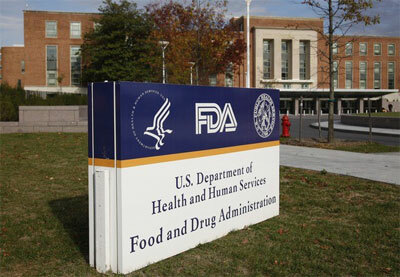 Biological products are evaluated by FDA’s Center for Biologics Evaluation and Research. Q: Does FDA test drugs? A: No. 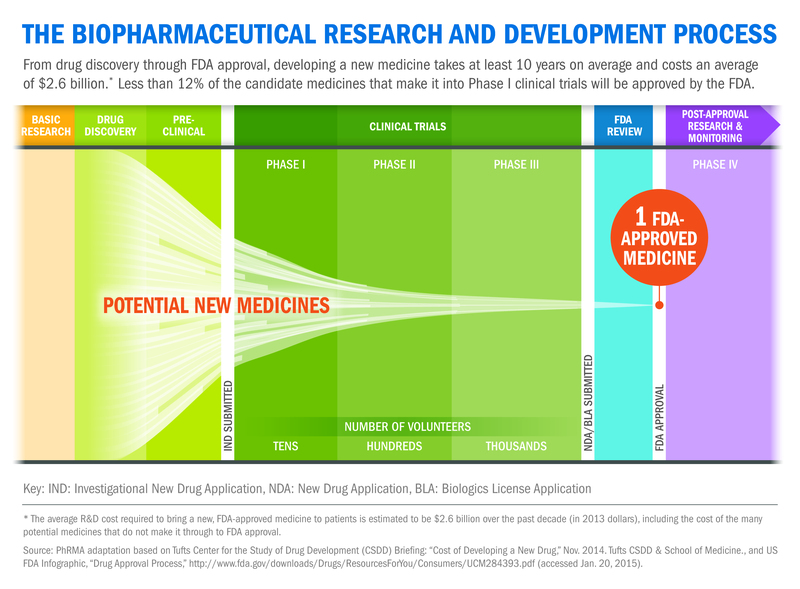 It is the responsibility of the company seeking approval to market a drug to conduct laboratory and animal tests on the safety and effectiveness of a proposed new drug and then to submit that information to FDA for review by CDER physicians, statisticians, chemists, pharmacologists, and other scientist. Q: What are clinical trials and how do they relate to drug approval? A: Clinical trials are studies that use human subjects (people) to see whether a drug is effective and what side effects it may cause. The trials are for gathering information about a drug that has not yet been proven to treat patients with a specific condition. A drug being studied in a clinical trial is called an investigational drug. Q: How long does the drug approval process take? A: The 1992 Prescription Drug User Fee Act (PDUFA) established a two-tiered system – Standard Review and Priority Review. Standard Review is applied to a drug that offers at most, only minor improvement over existing marketed therapies. The 2002 amendments to PDUFA set a 10 month goal for a standard review. Priority Review designation is given to drugs that offer major advances in treatment, or provide a treatment where none existed. The goal for completing a Priority Review is six months. For more information, please see the following FY2010 performance report and the Fast Track, Accelerated Approval and Priority Review page. Q: What are the different types of drug applications that can be submitted to FDA? Investigational New Drug (IND)— Federal law requires that a drug be the subject of an approved marketing application before it is transported or distributed across state lines. New Drug Application (NDA)— When the sponsor of a new drug believes that enough evidence on the drug’s safety and effectiveness has been obtained to meet FDA’s requirements for marketing approval, the sponsor submits a new drug application (NDA) to FDA. The application must contain data from specific technical viewpoints for review, including chemistry, pharmacology, medical, biopharmaceutics, and statistics. If the NDA is approved, the product may be marketed in the United States. Abbreviated New Drug Application (ANDA)– An Abbreviated New Drug Application contains data that provides for the review and ultimate approval of a generic drug product. Generic drug applications are called “abbreviated” because they are generally not required to include preclinical (animal) and clinical (human) data to establish safety and effectiveness. Instead, a generic drug applicant must scientifically demonstrate that its product is bioequivalent (performs in the same manner as the innovator drug). Once approved, an applicant may manufacture and market the generic drug product. Biologic License Application (BLA) — Biological products are approved for marketing under the provisions of the Public Health Service Act. The Act requires a firm who manufactures a biologic for sale in interstate commerce to hold a license for the product. A biologics license application is a submission that contains specific information on the manufacturing processes, chemistry, pharmacology, clinical pharmacology and the medical affects of the biologic product. If the information provided meets FDA requirements, the application is approved and a license is issued allowing the firm to market the product. Q: Do over-the-counter (OTC) medications go through the same approval process as prescription drugs? A: No. Because there are over 300,000 marketed OTC drug products, instead of individual drug products, FDA reviews the active ingredients and the labeling of over 80 therapeutic classes of drugs, for example analgesics or antacids. For each class, an OTC drug monograph is developed and published in the Federal Register. OTC drug monographs are a kind of “recipe book” covering acceptable ingredients, doses, formulations, and labeling. Once a final monograph is implemented, companies can make and market an OTC product without the need for FDA pre-approval. These monographs define the safety, effectiveness, and labeling of all marketing OTC active ingredients. New products that conform to a final monograph may be marketed without further FDA review. Those that do not conform must be reviewed by the New Drug Application process. A drug company may also petition to change a final monograph to include additional ingredients or to modify labeling.